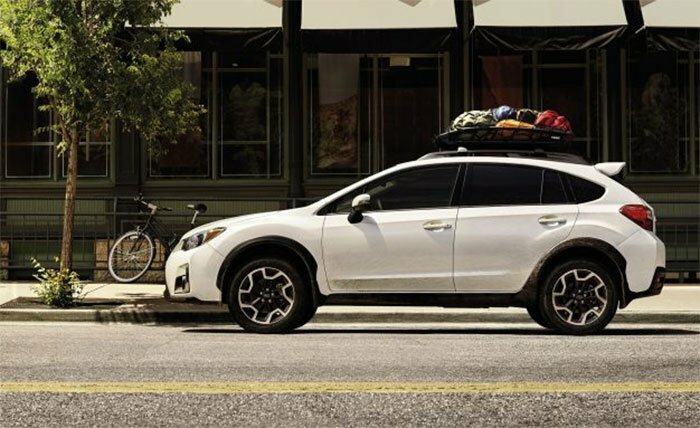 Subaru has announced the base pricing for the 2017 Crosstrek and it’s only slightly more costly than the 2016 model. For 2017, the base model sees a price increase of $125 compared to the 2016 model. The mid-range and high-end versions get the same $125 price bump. That means the base starts at $22,750 and the premium starts at $23,370. If you go all the way to the Limited you will pay $26,070 for starters and get leather, automatic climate control, automatic headlights, and an insulated windshield. The Premium can also add a sunroof for $1000 and EyeSight drive assistance as part of a $1995 package. A bigger package adding in push button ignition, nav, and sunroof along with EyeSight is $2895. One of the coolest things about the 2017 line is the Crosstrek Special Edition based on the CVT Premium level priced at $26,670. It comes in Crystal Black Silica and Pure Red with both having blackout trim and badging and grey aluminum wheels. They have black cloth interior with red stitching and red lighting for the footwells. The special edition gets keyless entry, push button ignition, blind spot monitoring, and rear cross traffic alert.